Thomas Corwin (#) (1876-1900+), U.S. Revenue cutter built in Oregon, and finished and commissioned in San Francisco, which remained her home port. She served for 23 years regularly cruising the north Pacific, Bering Sea and Arctic waters. After her service for the U.S. Coast Survey, Corwin operated as a merchant vessel, a support vessel for minerals exploration, and later as a passenger vessel. In 1881 the Corwin carried a scientific detachment including John Muir, Irving C. Rosse, M.D., and Edward W. Nelson. Muir penned Criuse of the Corwin as a result of his journey. She served coastal ports on Norton and Kotzebue Sounds, the Seward Peninsula, and the Bering Strait during the shipping season, and generally wintered in Puget Sound. 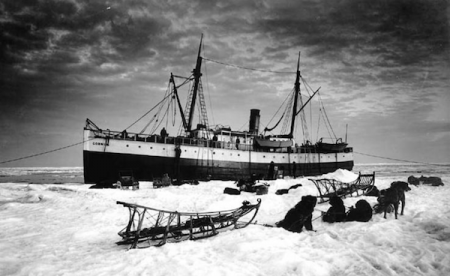 She was the first steamer to reach Nome in the spring multiple years, and also frequently the last steamer out in the fall. This page was last edited on 25 October 2016, at 07:42.